17 Comments to "The Transition 20 Years On: The Reckoning"
I dunno; personally I’d go for Poland over Belarus because it shows the least volatility. But then, I’m a wimp. I too would go for Poland if I had to choose between the two. I don't see how there's anything wimpish about favoring a relatively prosperous liberal democracy over a somewhat less prosperous soft authoritarianism. My intention in (qualifiedly) praising Belarus was to provide an antidote to the far more prevalent negative views of its economic development path. Not because I love it or anything. PS. Belarus' early volatility was because during the early 1990's it underwent the same kind of catabolic collapse / resource demobilization as post-Soviet Russia or Ukraine (i.e. what I call anarchic stasis); it was not a feature of the market socialist system implemented after Lukashenko came to power in 1994, as proved by Belarus' relative resilience during the recent crisis. I dunno; personally I'd go for Poland over Belarus because it shows the least volatility. But then, I'm a wimp. I too would go for Poland if I had to choose between the two. I don’t see how there’s anything wimpish about favoring a relatively prosperous liberal democracy over a somewhat less prosperous soft authoritarianism. PS. Belarus’ early volatility was because during the early 1990’s it underwent the same kind of catabolic collapse / resource demobilization as post-Soviet Russia or Ukraine (i.e. 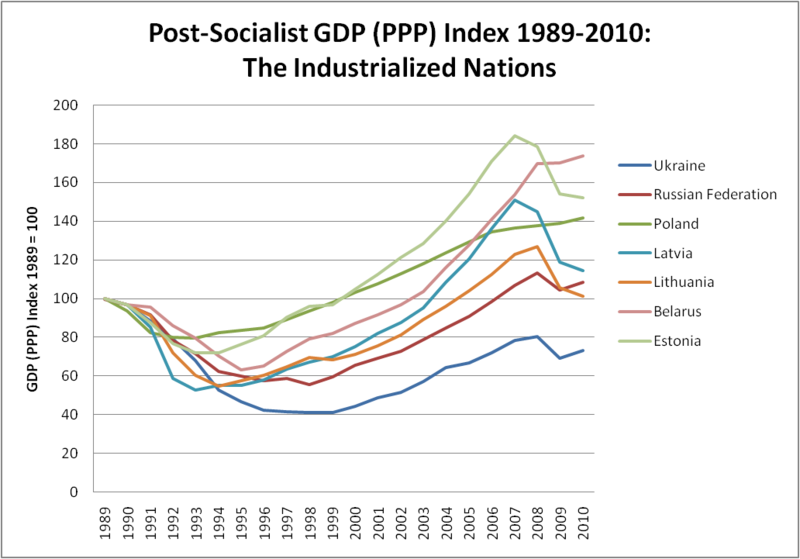 what I call anarchic stasis); it was not a feature of the market socialist system implemented after Lukashenko came to power in 1994, as proved by Belarus’ relative resilience during the recent crisis. Yah, I've never had a big issue with Belarus, either. Being me, I tend to look for the flattest lines when deciding my best interest, is all. "It's not the same as the US, but a lot of 'freedoms' Americans say they need aren't something that a lot of people ever think about anyway. It's my home." "a relatively prosperous liberal democracy"
Either you're naive, bordering on dumb, ignorant or completely delusional. Whatever the case, it's hard to take you seriously after statements like that. Yah, I’ve never had a big issue with Belarus, either. Being me, I tend to look for the flattest lines when deciding my best interest, is all. Either you’re naive, bordering on dumb, ignorant or completely delusional. Whatever the case, it’s hard to take you seriously after statements like that. Indeed, what?! You do realize that your view that Poland is not a liberal democracy is the non-conventional one? PS. Further spammy ad homs will be deleted. My guess is that this person thinks by calling Poland a liberal democracy, which it is, you're implying it's a socially liberal country. If that's the case, it's pretty clear who the ignorant one is. Latvia and Ukraine might be similar in terms of the effects of cultural divisions on their internal politics. The conflict in Latvia is, mainly, between ethnic Latvians and non-ethnic Latvian Russophones; the conflict in Ukraine is, mainly, between Ukrainophone Ukrainians and Russophone Ukrainians. In Lithuania and even Estonia, the whatever cultural conflict exists is sufficiently localized to avoid dominating the country’s politics and encouraging a polarization of the electorate on cultural lines to the neglect of economics and whatnot. Not so Latvia and Ukraine? This is a good article and video highlighted by LPAC about the Greece crisis by Ambrose Evans-Pritchard for the London Daily Telegraph entitled “ECB prepares legal grounds for euro rupture as Greece festers” which was pull from the web and reposted on gata.org. “Fears of a euro breakup have reached the point where the European Central Bank feels compelled to issue a legal analysis of what would happen if a country tried to leave monetary union. Those who suspect that the European Court has the power pretensions of the medieval papacy will find plenty to validate their fears in this astonishing text. Crucially, the author argues that eurozone exit entails expulsion from the European Union as well. All EU members must take part in EMU (except Britain and Denmark, with opt-outs). With Belarus being “soft authoritarian” it might be because the so called “democratic” opposition is not very democratic heavily supported and financed by Soros, NED, British Foreign Office and EU which include UNA-UNSO a Ukrainian Neo-Nazi paramilitary group which I first became aware of when fighting in Chechnya when highlighted by the Jamestown Foundation. I don’t know why Russia does not create an Asian alliance between China, Japan and South Korea to develop the natural resources of Siberia. How big is the Ukrainian migrant worker phenomenon in Poland? It would make sense for many Ukrainians from the west to go and work in Poland. But since Ukraine is not in the EU the Polish-Ukrainian border is, technically, a “real” border. So it ought to be harder to cross from Lviv to Krakow than from Krakow to Dublin. Anyone know what’s happening in reality? I agree with Anatoly that Ukraine is now unlikely to wind up a member of the EU. Maybe there was a chance in the early days of the Orange Revolution if the EU had got its act together. Maybe the EU could have offered Ukraine express membership of the EU backed up with generous subsidies. Maybe future historians will see this as a massive missed opportunity. Or maybe it was never realistic. I still think Ukraine would have been much easier to absorb into the EU than Turkey. I did some research on this a couple years ago. Over 40% of Ukrainian migrants go to Russia, with another 40% or so winding up in Poland and the Czech Republic. That number is about equally split between the 2 countries. I used to live in Prague (2001-02) and there were plenty of Ukrainians there. In fact, the word "Ukrainian" in Czech was starting to take on the subsidiary meaning of "Gastarbeiter" ("I'm planning to hire a couple of Ukrainians to fix up my kitchen"). How big is the Ukrainian migrant worker phenomenon in Poland? It would make sense for many Ukrainians from the west to go and work in Poland. But since Ukraine is not in the EU the Polish-Ukrainian border is, technically, a "real" border. So it ought to be harder to cross from Lviv to Krakow than from Krakow to Dublin. Anyone know what's happening in reality? I used to live in Prague (2001-02) and there were plenty of Ukrainians there. In fact, the word “Ukrainian” in Czech was starting to take on the subsidiary meaning of “Gastarbeiter” (“I’m planning to hire a couple of Ukrainians to fix up my kitchen”). My guess is that this person thinks by calling Poland a liberal democracy, which it is, you’re implying it’s a socially liberal country. If that’s the case, it’s pretty clear who the ignorant one is. What Scowspi said, mainly. I did an undergraduate paper this time last decade that suggested that the Ukrainians were concentrated in western Poland, curiously where there may have been family ties with Ukrainians displaced by Operation Wisla. A “European perspective” for Ukraine is about as much as could reasonably be expected; expecting a Ukraine that’s still quite poor and illiberal by minimum EU standards to get fast-tracked into the EU’s unrealistic, especially given the precedents of the former Yugoslavia and Turkey. Why suppose that Ukraine’s blocked off all chances of joining the European Union, though? I’m not sure why some of the commenters here think that Yanukovich is any more likely to take Ukraine (a Ukraine’s that’s quite internally divided) into an irrevocable bond with Russia than Lukashenko has been with Belarus. Transit fees paid to Estonia for oil transported via Rail will soon cease as Russia opens its own terminal at Ust-Luga. This will have a substantial impact on Estonia’s fiscal budget. Quite an expensive monument relocation. More like 0,5-2% of GDP. We can manage the loss. We have already. 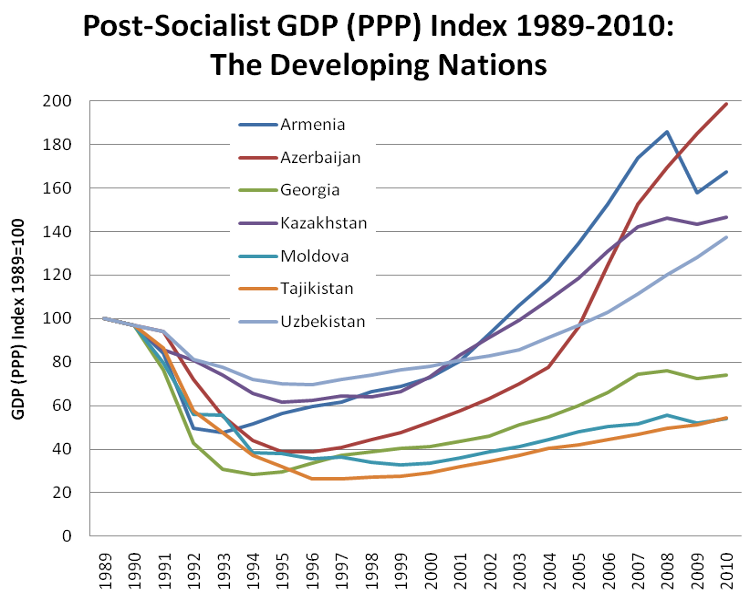 1) In terms of education levels and worker productivity, 1990 Armenia resembled a Baltic state more than a Caucasus one. 2) The diaspora — capital infusions, commercial links, skills transfer, smuggling, more or less in that order. 3) Sense of national crisis engendered by the 1990s war led to national mobilization and (relative) political emasculation of oligarchs — Armenian oligarchs were allowed to get rich but not to interfere in matters of national policy. 4) One-time demographic hit from declining dependency ratios; after 1990, old people started dying a lot younger, while young people pretty much stopped having kids. So, for a single generation, Armenia had an anomalously high proportion of the population be working-age adults. The bill for that is about to come due. 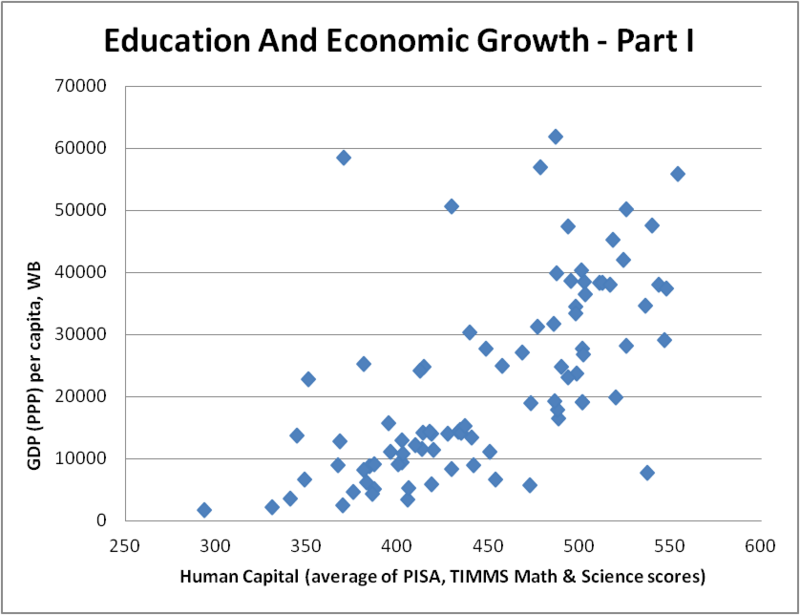 5) Extremely high labor mobility. Armenians bounce in and out of Russia, and to a lesser extent the EU, with startling ease. Yerevan is full of thirtysomethings who got a graduate degree in Paris and then spent five years in Moscow. 6) Iran. To simplify, Iranians go to Azerbaijan for booze and whores, but they go to Armenia to hide their money. Armenia is Iran’s only neighbor that is friendly, politically stable, and discreet. So Yerevan is full of large buildings constructed by wealthy Iranians who are avoiding the attention of their government. "How the Armenians managed this I don’t know, but kudos to them!" 2) The diaspora -- capital infusions, commercial links, skills transfer, smuggling, more or less in that order. 3) Sense of national crisis engendered by the 1990s war led to national mobilization and (relative) political emasculation of oligarchs -- Armenian oligarchs were allowed to get rich but not to interfere in matters of national policy. 6) Iran. To simplify, Iranians go to Azerbaijan for booze and whores, but they go to Armenia to hide their money. Armenia is Iran's only neighbor that is friendly, politically stable, and discreet. So Yerevan is full of large buildings constructed by wealthy Iranians who are avoiding the attention of their government. The trend in the WORLD economy since the late 18th century is divergence, not convergence, and Maddison’ figures confirmed this when summarized by regional groupings; Imperialism has something to do with this, as well as its new incarnations since the beginning of the cold war in the form of neocolonialism (ie. formal independence but with basic structure of the economy systematically dependent on imperial trade and investment patterns). But there is a far more important physical reason for this: If you have an income of 15000$/capita, it is relatively easy to set aside 20% (1500$) for investment purposes. You are still left with 13500 per person to vastly satisfy basic needs. However, when you have an income per capita of 1000$, setting aside 20% is extremely difficult. Hence the basic idea: Those with more wealth can afford to invest a large portion of it, while those with little need nearly all of it simply to survive. Hence, Europe can grow quite fast simply because it can set aside much more income for investment; And indeed, this was made much easier by imperial conquests in the early industrial era. And the interesting part of this kind of idea is that it can be used to explain many of the different economic fates: That western Europe after the war, including the poorest regions, gained an influx of American capital, a fairly liberal technological transfer environment and a coherent government development plan. This is mirrored by the East Asian tigers as well (which were not burdened by high natural resources and hence drew little colonial attention, except in the beneficial form of military protection by the U.S. against the commie threat). The USSR on the other hand was more autarkic, with little to no capital flowing in from the west, however there was some technology transfer, and more importantly, being a huge country with many people, it had large aggregate income that it could draw on for investment in strategic sectors. On the other hand, most of the third world, while many government expressed explicit support for development plans, had poor ability to attract foreign investment and technology transfer (in some sense the colonial structure of the economy remained), but were also very small states, and hence could draw very little aggregate funds for investment (and in fact, they resorted to debt, which was unsustainable when many of their primary commodity prices fell in the 70s). Uzbekistan is an unreformed economy, as well as land-locked. It is doubly-land-locked. One of only two. The other one, Liechtenstein, is doing much better despite this handicap.